I've been a huge fan of FX's Justified from the opening moments of its electric pilot episode. Raylan Givens and Boyd Crowder are two of the most entertaining and compelling characters of the past half decade and I'm not gonna lie, I had a hard time saying goodbye to them and all the other colorful inhabitants of Harlan, Kentucky when the series finale aired last Tuesday night. It was funny, it was violent, it was emotional...it was all the things that made Justified such an absolute joy to watch over the years. I found the finale so affecting that I just couldn't let it go without talking about it in the latest episode of the podcast. It's our first TV episode! Jeff Schwartz, a fellow Elmore Leonard aficionado and the next biggest Justified fan I know, was happy to fill in for Bart for the second week in a row and what was meant to be a quick half hour chat before our movie of the week turned into a sprawling, two hour examination of the finale, the last season and the series as a whole. We compare the various big bads, rank all six seasons and finally declare our respective allegiances to Team Boyd or Team Raylan. 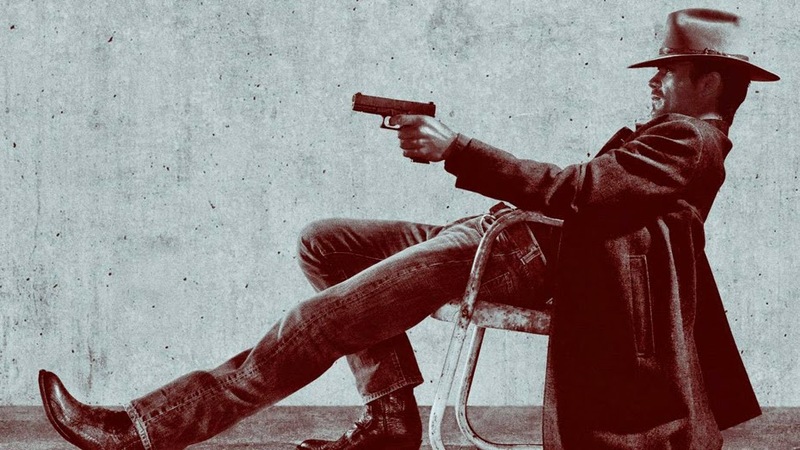 For those of you who aren't familiar with Justified, first of all I recommend diving in head first. Sadly the series is not streaming on Netflix but it is available for all of you Amazon Prime members. But worry not, we also recorded another, shorter episode in which Jamie joins us to talk about AI paranoia and the examination of gender roles in Alex Garland's directorial debut, Ex Machina. That should be up by the end of the week. As always, be sure to subscribe to the podcast on iTunes and on SoundCloud. Later This Week: Ex Machina!